What comes to your mind when you hear the term employee engagement? Keeping employees busy in their jobs? Motivating employees for better job performance? Or providing extra incentives to increase employee productivity? If that’s what you’re imagining it to be, it’s about time we changed your perception about it. While developing human resource management, managers tend to ignore employee engagement. This happens mainly because they are not aware of its importance and benefits. Or also because they aren’t aware of the means to implement this culture in their organization. As a result, organizations do not implement it in a professional way. This harms both the organization and its employees. People aren’t connected to their work or satisfied which affects their performance. This ultimately affects the company’s productivity and performance. A poll by Gallup shows that only 15% of the employees around the world actually engage in their jobs! What about the other 85%? What are the reasons that this large section of the workforce is not engaged in their work? And what can you, as a Human Resource manager, do to change this alarming situation? It is not about keeping employees busy or engaged with tasks. And, it definitely is much more than keeping them fascinated and delighted. 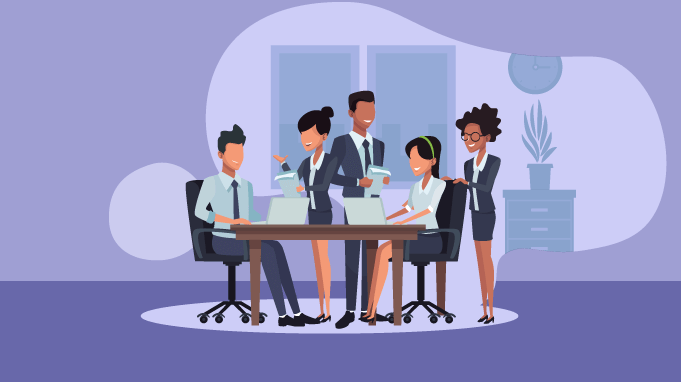 “emotional connection an employee feels towards his or her organization, which tends to influence his or her behaviors and level of effort in work-related activities. It is an approach to creating a workplace environment where employees get ‘engaged’. 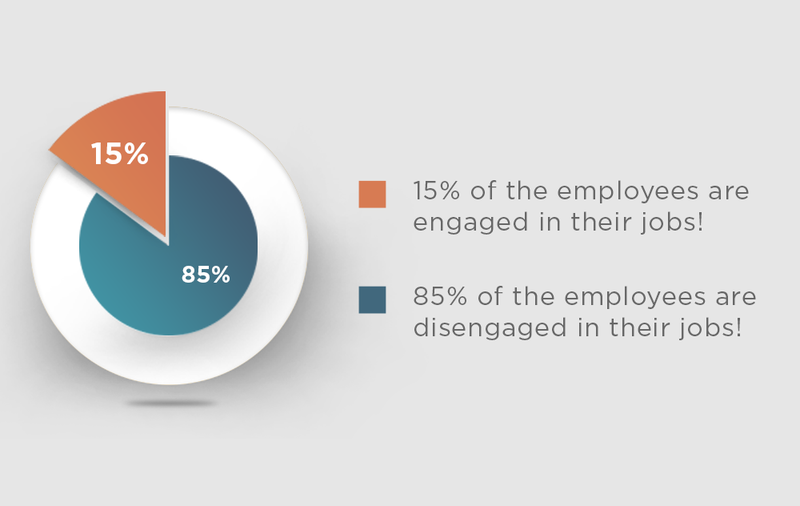 Or rather than “getting” them engaged, your employees should “feel” engaged. ‘Engaged’ hereby en-covers a philosophical approach rather than a traditional and mechanical approach. It means a situation where the employees identify themselves with their work. They are enthusiastic and passionate about their work. They feel a sense of gratification while and after ‘engaging’ in that work. How bound are the employees in their work and their co-workers? How well are the employees communicating and treating each other? It is about making your employees feel valued for contributing to the organization. Because employees who feel valued and appreciated perform better. Thus, employee engagement is developing a workplace where employees become emotionally attached to the organization. They commit towards fulfilling the long-term goals of the organization. To perform a task in an effective manner, a little slice of emotional attachment is necessary. There has been a change in how employees define happiness nowadays. Earlier, spending time with family and pursuing hobbies were the sources of happiness. But with work being a major part of our lifestyle, happiness at work is what now everyone seeks. Emotional commitment towards the company’s goals is the foundation of employee engagement. Each employee is different with variations in beliefs, values, and necessities. While bonus can be a driving factor for one, it may not be so for another employee. Developing a sense of commitment in employees towards an organization is fundamental. But it has always been a challenging task for the human resource managers to develop this. Of course, developing such an emotion takes time and effort. To understand this, the HR department needs to be aware of the employees’ needs. But how can you do it in an effective manner? By designing programs and innovating solutions to understand your employee needs' and aspirations. If the employees' are liking the work environment? If they would like to have anything apart from the basic amenities in the office? Do they feel motivated by the HR's approach towards them? Are the current incentives which are being provided keeping them happy? The answers to these may vary from employee to employee but it'll at least give you an idea about what they think. These employees consider the organization’s goals as their own and commit to their work. They love their work and are emotionally attached to the organization. They also feel a sense of responsibility towards fulfilling their goals and aspirations. Employees who engage in their work but are not committed to the organization and vice versa. These are people who like their job but aren’t motivated to actually perform the tasks. This may be due to internal conflicts with co-workers, bad management, etc. They are neither engaged in their work nor committed to the organization. They are neither emotionally attached to their work or the organization. Nor are they driven towards achieving their goals. These are employees working actively to weaken the prosperity of their own companies! They detest their work and try to create a negative atmosphere in the office. This results in the downfall of the individual’s productivity. Hence, affecting the overall company performance. 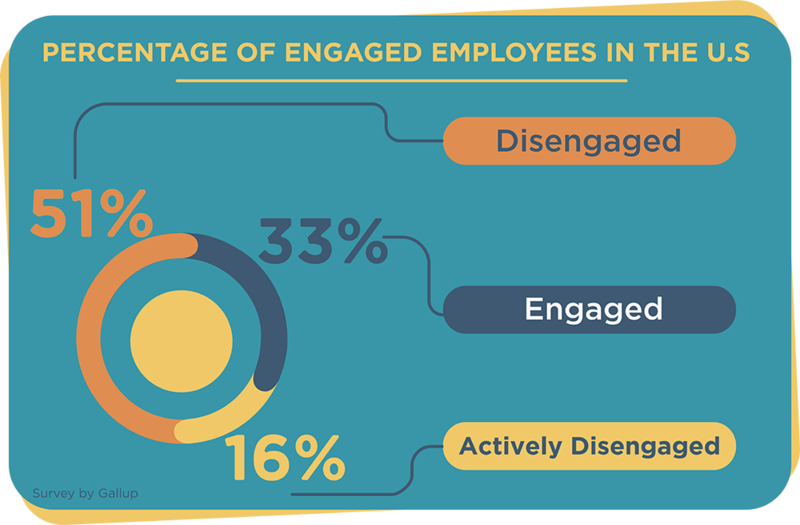 An engagement survey by Gallup shows that 33% of people in the US engage in their jobs, 51% disengage and 16% remain as actively disengaged. With every employee that leaves your organization, you have to incur a huge cost. We all know that employees are a company’s greatest asset. And also that they don’t leave jobs but managers. Studies by SHRM show that every time an organization replaces an employee, it has to incur 6-9 months’ salary on average. Organisations take an average of 51 days to recruit someone new. The time and resources dedicated by an organization during that time are expensive. Also, each disengaged employee costs an organization 34% of their salary due to low productivity and reluctance to do a work. But monetary expenses are not all that an organization has to incur. When a star employee leaves, he takes away with him the skills and knowledge required to do a work. This creates a huge knowledge gap. Filling this gap by training new employees again costs time and money. Other problems include decreased morale and productivity in the existing employees. Thus, you CANNOT afford to ignore employee engagement. 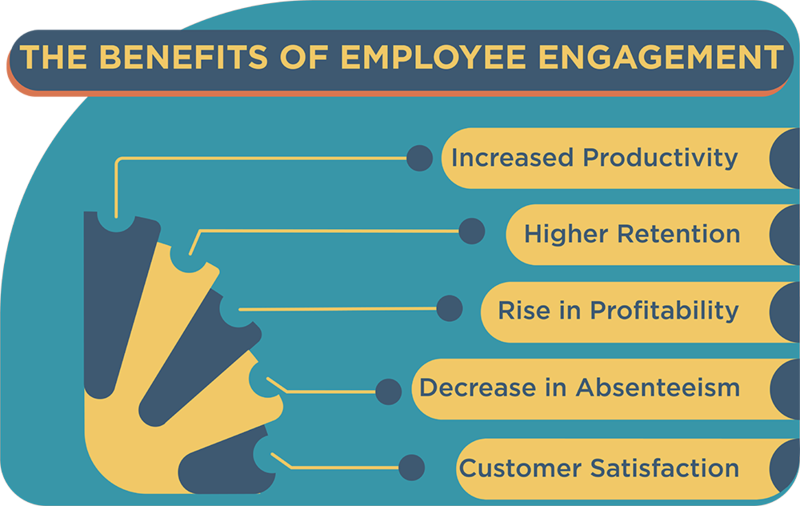 The benefits of keeping your employees engaged are immense. Here's why you need to incorporate this into your work culture. Engaged workers are often found to be the best performers. They tend to be creative and come up with innovative and unconventional ideas. They work harder and go that extra mile to fulfill their responsibilities. Higher productivity directly results in a positive business outcome. A poll by Gallup says engaged employees are 17% more productive. A 2017 report by Gallup shows that 51% of workers are planning to leave their current jobs. This is due to lack of appreciation and recognition. Employees rarely leave a company when they feel rewarded and appreciated for their work. Due to increased productivity and efficiency, the profitability of a company hikes up. A study by Wyatt Watson shows that companies with engaged employees produce 26 % higher revenue per employee. When people don’t come to work, it impacts productivity and performance. Absenteeism can delay projects, damage customer satisfaction, and relationships. But passionate and enthusiastic employees rarely want to miss their work. They enjoy their work and get the work done in the most efficient manner. There are lots of case studies which prove that engaged employees affect a company’s bottom line. There is a direct relationship between employees and the customers. When employees are happy, they treat customers well which results in happy customers. And happy customers are the key to a higher revenue and profit generation. With the increase in job opportunities also increases the ability to switch jobs. Skilled and experienced employees don't mind changing their jobs if their efforts go unnoticed. Makes sense, doesn’t it? Who would want to work at a place where there is no scope for appreciation & motivation? Keeping employees engaged at their work becomes important to improve employees’ productivity, performance, etc. Employees should always feel comfortable when they approach management with ideas & problems. Distribution of power should be fair and equal so employees can make their own choices. This will lead to the generation of new and creative ideas. Employees having the freedom to share their opinions and ideas are more productive. You should encourage your employees to express their views, opinions, and ideas. You should also involve employees in the decision making processes. Employees feel valued when you involve them in the important courses of action. As a result, they work harder for the company's growth. Communication is the key. Companies whose employees are well connected are far more successful than others. Lack of communication leads to misunderstandings, deadlines pushed, etc. To get to know your employees, communicating outside the office is as necessary as inside. Going out with an employee or group of employees for dinner is a great idea. Such activities create a new avenue for brainstorming ideas, resulting in more efficiency. Also, the rise in interpersonal communication help boost an employees' confidence level. Unrecognized contribution hampers both the enthusiasm and passion to work for an organisation. Even a simple ‘thank you’ goes a long way when trying to encourage and motivate your employees. An employee joins a company for their personal development and then for the company. Failing to provide a scope for skills and personality development leads to disappointment. You need to create a challenging environment to make them step out of their comfort zone. As the saying goes, “all work and no play makes Jack a dull boy.” Making your employees work continuously will exhaust them which leads to inefficiency. Instead of a monotonous workplace, try creative ideas to make work more enjoyable. For instance- For the launch of a new product, having a piñata can be a fun way to disclose the product to everyone. Employee engagement, hence, is a two-way process. It is the relationship between the employer and the employees. There are many ways an employer can encourage his employees. 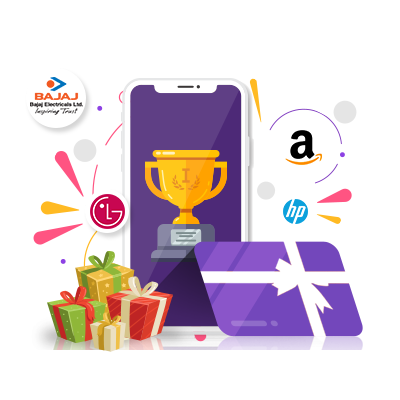 These may include offering them benefits, incentives, rewards, etc.These benefits help the employees to be more efficient and productive at their work. Retainment of skilled and experienced employees. Engaging the current workforce for better efficiency. Attracting the best talents to work for the organization. It can be a win-win situation for both the employer and the employees. Employees can work on and fulfill their own individual goals. Employers will have the best talents to work with them. Thus, boosting the productivity and efficiency of the company. 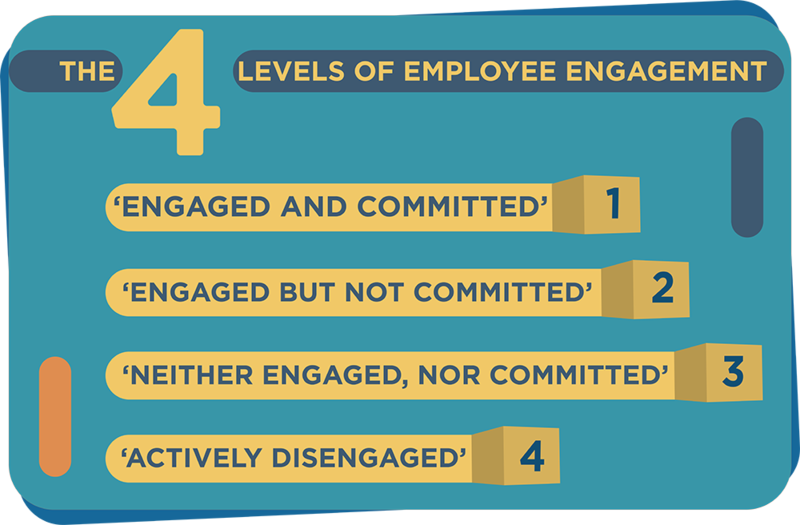 So, it's very important for employers to understand the concept of Employee Engagement. Because having such a platform plays a huge role in the prosperity of the organization. 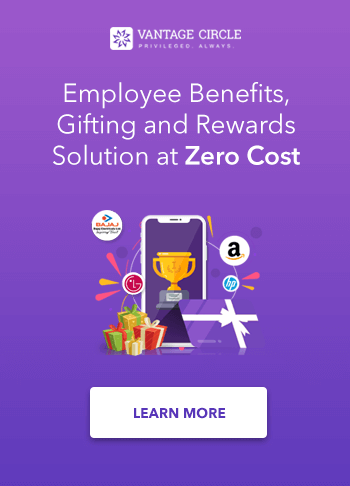 Why and How; The Ultimate Guide to Optimising your Employee Discount Program.